Those that know me know that I am a HUUUUUGE Golden State Warriors fan. I love the Steve Kerr system (no offense Mark Jackson) and how each teammate uses their individual strengths, hence the Strength in Numbers mantra. Gentlemen, thank you for that 114-124 win over the Cavs last night. Whether it’s Draymond Greene and his vocal, passionate way of keeping everyone accountable including players, refs, and even Charles Barkley. Or Klay Thompson with his humble, strength under control demeanor who can fire up those corner 3-pointers without hesitation. Or the baby-faced assassin who has stellar on court vision making the right play or finding the right player in those big moments, who in my opinion is the BEST point guard in the NBA today, hands down, that’s right I’m referring to Wardell Stephen Curry II. So tired of hearing that Chris Paul is the best point guard, when the guy has yet to bring his team a win down the stretch, and up until now with the James Harden marriage hadn’t gotten anywhere close to a conference finals. And then the dude stomped off the court when his team lost not showing any kind of sportsmanship or leadership toward the fans or younger players. Best point guard – I think NOT! I digress… As much as I love to rave about Steph Curry, Ayesha Curry and Warriors Nation, the curry we really need in our daily lives is the golden-brownish one found in the spice section of your local grocer. 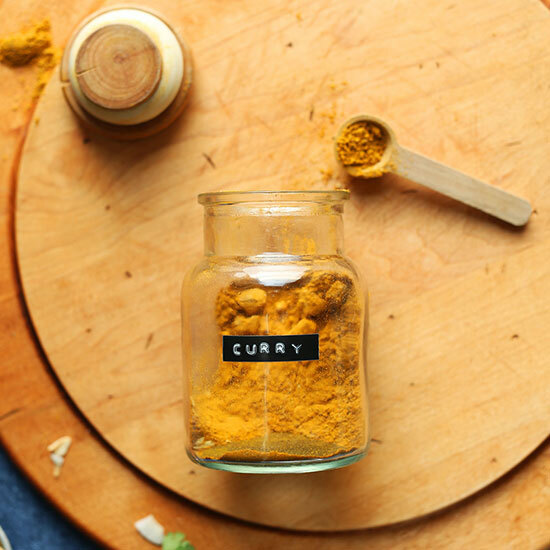 Curry powder is primarily made up of the plant/spice turmeric; within the plant/spice turmeric is the chemical curcumin, which has been shown to have numerous health benefits. So when you ingest something with curry powder you are receiving the benefits of both curcumin and turmeric. In India, Asia and other parts of the world, turmeric is used to treat many health conditions such as: arthritis, heartburn, stomach pain and bloating, diarrhea, intestinal gas, liver problems, gallbladder disorders, headaches, bronchitis, colds, lung infections, fibromyalgia, water retention, Alzheimer’s disease, and kidney problems. Also known as Indian Saffron, the spice gives these dishes their amber coloring and rich, earthy aroma…and provides you with a brain-boosting dose of curcumin. While used in India and China for centuries in various traditional remedies, it’s been garnering attention in the scientific and medical communities for its impact on mental health, cardiovascular disease, and cancer. In fact, over 4000 scientific publications have focused on curcumin in the last decade. One study of 1,010 participants found that even small amounts of dietary turmeric are clearly linked to lower rates of dementia. According to researchers at the University of California Los Angeles, curry and turmeric have been shown to improve memory and mood for people with a mild form of age-related memory loss. As a staple in Indian cuisine, curcumin has long been used as a food flavoring and preservative. Studies show that fewer senior citizens in India have Alzheimer’s disease and better cognitive performance, which they link its likelihood to the herb’s presence in their customary diet. 2) It Boosts Brain Functioning. Studies have shown that curry is an excellent source for boosting brain health. Did you know that the neurons in your brain are capable of forming new connections, and in certain areas of the brain, they can also multiply and increase in number. One of the main drivers of this process is Brain-Derived Neurotrophic Factor (BDNF), which is a type of growth hormone that functions in the brain. Many common brain disorders have been linked to decreased levels of this hormone. This includes depression and Alzheimer’s disease. Interestingly, curcumin can increase brain levels of BDNF. By doing this, it may be effective at delaying or even reversing many brain diseases and age-related decreases in brain function. 3) It Can Help Prevent Cancer. Cancer is a terrible disease, characterized by uncontrolled growth of cells. As we know there are many different forms of cancer, but they do have several commonalities, some of which appear to be affected by curcumin supplements. Researchers have been studying curcumin as a beneficial herb in cancer treatment. Studies have shown that it can reduce growth of new blood vessels in tumors, the spread of cancer, as well as contributing to the death of cancerous cells. There is also some evidence that it may help prevent cancer from occurring in the first place, especially cancers of the digestive system, like colorectal cancer. In one study in 44 men with lesions in the colon that sometimes turn cancerous, 4 grams of curcumin per day for 30 days reduced the number of lesions by 40%. So whether you choose to take a supplement or cut up some turmeric root or sprinkle some curry powder in your meals, we all could benefit from having it added into our daily routine. Here’s a list of recipes that make turmeric/curry the star of your dish.